AUSTRALIAN star Ryan Douglas can’t wait to get going on his return to British racing with Leicester this season. 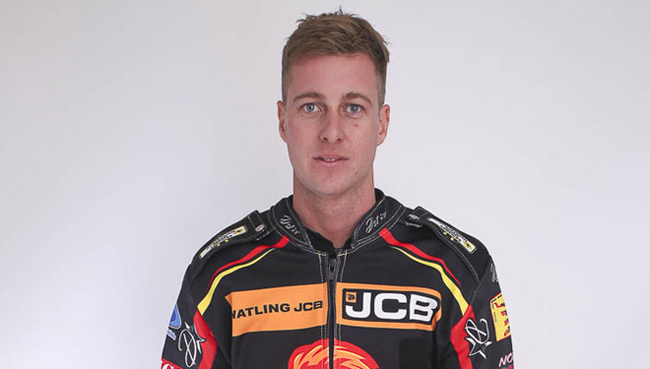 Douglas, who impressed in the Ben Fund Bonanza last Sunday, will make his debut for the Watling JCB Lions in this Saturday’s attractive Challenge fixture against top-flight club Ipswich at the Paul Chapman & Sons Arena. After five years with Scunthorpe, Douglas missed out on competing in the UK in 2018, but he’s now looking forward to making his mark with the Lions. And judging by their performances last weekend, home fans can expect plenty of excitement from the combination of Douglas and Josh Bates in the middle-order of the side. Douglas said: “At the end of the day I think it was good to have a year away. I was in a bit of a rut and I wasn’t really enjoying it, so I went back home and rode for fun, and I think it made me a better rider. “Now it’s great to come back, I’m refreshed and I’m ready to kick on a bit, and I think this will be a good home track for me when I get used to it. “I had my first ride on it last Monday and felt pretty comfortable, and since then I’ve been working on the bikes and making sure all the equipment is up to scratch for the season. Ipswich have confirmed a strong team for Saturday’s opener, including former Lions skipper Danny King and big winter signings Chris Harris and French star David Bellego – who will face Scott Nicholls and Ellis Perks in a mouth-watering Heat 1. The Witches will also include teenage sensation Drew Kemp, a club asset, at reserve with Krystian Pieszczek the only absentee from their Premiership one-to-seven.